LEADS Corporation Limited has been a foremost information technology service provider since 1992 when it became the exclusive Distributor for Bangladesh of the global giant NCR Corporation, and took over the support service of NCR’s the then Bangladesh customers. LEADS has come a long way since, to become the leading provider of application software for the financial sector of the country, among its myriad of different products and services. We spoke to LEADS Corporation Limited’s Chairman Shaikh Abdul Aziz to delve deeper into the hugely successful enterprise. Mr. Aziz shared his insights on a number of diverse topics with Fintech. Fintech : Tell us a little bit about yourself. How did you begin your career? After I completed my graduation in Commerce from the University of Dhaka, I went to Karachi in Pakistan to do my MBA in 1963. There was no MBA program in what is now Bangladesh at that time. I completed my MBA from the Institute of Business Administration, Karachi, Pakistan in 1965, majoring in Marketing. In the same year I took up a job with a British multinational company, what we now call British American Tobacco Company Bangladesh (BAT).It was at that time called Pakistan Tobacco Company Limited. In 1972, after the independence of Bangladesh, the company became Bangladesh Tobacco Company Limited. I worked for 18 years in that company in the Marketing Department. After being a service holder for 18 years of my life, I realized that I should start a business. Considering my age, the main reason was that I could not have gonemuch further up the corporate hierarchy, because the opportunities up the ladder were much fewer and the occupants of those positions at that time were of similar age group.I understood that my career would get stuck if I continued at the multinational company. Therefore, in 1983 I left that job when I was the National Sales Manager of the company. At that time the business of ready made garments was at its infancy and I decided to get involved in it. I spent 10 years in that business. NCR Corporation, the American tech giant, had a branch in Bangladesh operating since 1971. Towards the end of 80’s NCR Corporation decided to leave after shutting down the branch office. They were looking for a Distributor to run their business. We became their distributor in Bangladesh as from 01 August 1992. Meanwhile the company, LEADS Corporation Limited, was already formed in May 1992.As from August the same year it took over the business of distributing NCR’s products and services, as well as giving maintenance support to NCR’s the then customers in Bangladesh. Fintech : You are a market leader in CBS. What is your position for some of the other services you provide like IP center solution, data solution etc.? No, our focus is quite different. We are involved in designing, developing, implementing and maintaining business application software for both domestic and overseas markets. CBS, or Core Banking Solution, is an application. We have many such application software which we built ourselves. In addition to the banking industry we have products for non-banking financial companies, agent banking, capital market, broker house, life insurance, enterprise resource planning (ERP) etc.Over the last couple of years, we have moved into a new technologies like Internet of Things(IoT), Blockchain etc. We have already done some projects on Blockchain. Fintech : Who are currently using your agent banking product? AB Bank, Premier Bank and the First Security Islami Bank are currently using our agent banking solution. Negotiations are continuing with some other banks. Fintech : What kind of profit is possible with IT solution services? Do you need to invest more compared to other countries in the region? We need to invest more compared to other countries in the region, because the productivity of Bangladeshi professionals are much below the acceptable standards. Consequently, the cost goes up and we have to operate on a low profit margin. It will take quite a while before our local technology professionals come up to an internationally acceptable productivity standard. Another aspect is that our nation is yet to appreciate the value of technology. Most of the prospective users, and there are huge numbers, do not understand the benefits of technology.Technology business takes a long time of negotiations before it can mature. Unfortunately, due to lack of understanding negotiation takes much longer than what we plan for. At times it is quiet frustrating. Let me share an experience we had recently. A tender was called by a government institution for an application software project which was relatively big. After the customer went through the process of technical evaluation, the financial offer was opened. It was found that the next best company offered 20% of what we quoted. Obviously such a low bid is unrealistic. There could always be a difference of few percentage between any two prices, but cannot be as much as 80%. Naturally, the project went to that company with the lowest bid. How they are going to deliver is anybody’s guess. Like I said before, our productivity is low and we have a reasonably large size operation with just under 300 associates. Then we have to compete with vendors willing to work at ridiculously low price. Hence we are forced to operate on a very low profitability. 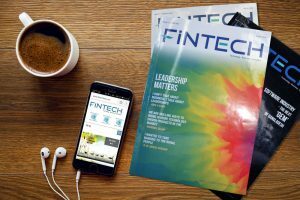 Fintech : What can bring down cost and increase profit? Automation process in the country has to be introduced on a large scale at an accelerated pace.That will help increase in the usage of Information Technology. The easiest way is formulating policies &regulations which would make it compulsory for each and every department in the government s to go for automation by a certain date, and then to make sure that this is implemented as required. I still remember that when I came to this business in 1992 I was asked by some journalists as to what is the quickest way of converting manual work in to automation. My answer was ‘throw away all papers and pens from all government offices through the windows’. That is still valid, even after 26 years.Of all the manual works done in the country, around 80 percent belongs to the government offices. If we can automate that 80 percent, then the ICT Industry would remain vibrant for all time to come. In order to do that, we will need a few thousand companies like ours. Just imagine how many people will get employed and trained on newer technologies on a continuous basis. Their productivity will increase and vendors would start making some money. Unfortunately, that is not happening. Of late the government has started a few automation projects.But the sad thing is that they prefer to work with foreign vendors for big projects. Many of those are not completed in time, and even those which are completed, are not performing well. Recently the industry leadership has started talking to the Government on the issue of utilizing local resources for Government automation projects. I understand that this dialogue is probably bringing some fruits. The private sector is rather proactive in using technology. Unfortunately, there is a tendency of the users preferring foreign application software over local ones. There are many examples of use of foreign application software such as Core Banking Solution (CBS), Enterprise Resource Planning (ERP), Accounting Package, Insurance etc., although adequately acceptable local products are available at much lower prices. Most scheduled commercial banks have implemented CBS due mainly under pressure from the Bangladesh Bank. However, many have gone for foreign CBS, although suitable local CBS are available. Our CBS, called BankUltimus, is in use in 10 commercial banks and 13 non-banking financial companies. This product, being local, can easily be customized whenever a bank wants any change, and support is immediately available. In contrast, customization & support of foreign CBS are very costly and take much longer. Yet users have a tendency to favor foreign products at a price many times higher than that of local variety. The industry association has been trying to convince the Government to encourage banks to use local CBS. But no such directive is forthcoming. Unless something is done quickly whatever local CBS is currently available will disappear soon, at the peril of the industry. Fintech : Is there enough competition in the service market? Yes, there is competition.But like I said earlier, there are some companies which make unscrupulous arrangements to undercut market competition.According to our estimate at present there are over 1,200 companies focused on software products. Many of them work for foreign as well as local clients. The competition is actually increasing, and I feel that it is good. Fintech : Which area in the business makes the biggest profit? Well it is not really possible to identify it sector wise.It actually depends on the product. We are mostly focused on the financial sector, and there are a few other companies in that arena. Many companies are creating small mobile apps and are making healthy profit. Apps like Pathao, HungryNaki are doing good business. Their profit margin is high while the scale of operation is small. Companies which make such small apps will earn more profit. If you launch a large solution like ours, it takes a lot of time and manpower to develop it, and even more time to sell, and implementation also takes time. Completion of a CBS project starting from the initial interaction with a prospective customer to final handing over may take a few years.Meanwhile, we keep on investing on various resources. Those who are making small apps or are engaged in outsourcing, they are earning handsomely. Profit in small scale mobile apps is higher. Fintech : Can small, independent companies compete with big companies like you? Small, independent companies do not need to compete with big companies. Say, for example a small company engaged in outsourcing will not try to compete with large companies. That is not necessary.Each company has a niche market to serve. They will work in a focused area. By concentrating on that, their performance will improve; productivity will increase as well as profit. It is not prudent that everyone will do everything. Fintech : What is your thought on the IT parks built by the government? Do you think they are being used to their full potential? No, we are not using the IT parks to their full potential. You have asked a poignant question. The first IT Park which was identified at Kaliakoir is now known as Bangabandhu Hi-Tech City. I was present at a function there in 2002 when the land for the IT Park was handed over to the ICT Ministry by the Land Ministry. The idea was really good. That was way back in 2002, now it is 2019.Not much substantial activities, other than some construction work,arevisible over the last 17 years. In the recent past some productive activities have been reported. When the facility goes in full production quite a few issues will come up, such as availability of manpower, accommodation, medical, school, mass transportation etc. An IT Park has been built in Jossore. It is a massive complex with facilities like a 5-Star hotel. It is reported that not much space is occupied. I believe some companies have moved over there to set up Data Centers and outsourcing work. There will be few other IT Parks in Sylhet, Rajshahi & Chottogram. The aim is good, and as projects they are sound.But the problem is we do not complete anything in time, and by the time these facilities are available the original objectives may not be valid any more. So to your question,‘are we utilizing the IT Parks properly’, the answer is No. Fintech : You have training and consulting wings. Tell us about their work. We have not done consulting really; we are mainly concentrating on training. We provide high-level technical training. We also give training on tools for high-end application development. Sometimes we bring trainers from abroad for top-level management training. We have affiliation with a training house in Australia. Very shortly we will arrange training on systems security where trainers will arrive from abroad. It is not a training institute in the traditional sense. Our objective is to convert technology gigs to managers. Fintech : What is ahead for LEADS? Well, it is a tough question. We want to do many things in the future. We have some plans, and if you want me to say it in a nutshell; what Infosys is in India, we want LEADS to become that in Bangladesh, Inshallah. It will happen one day; it is possible. Maybe I won’t be here but others will be present. We have many advantages in our country, but we are yet to utilize them. Every year nearly five lakh boys and girls graduate from different universities in Bangladesh. We cannot provide jobs to even 200,000 of them, both in the government and private sectors. Every year 5 lakh is entering the labor market and there is employment for only 2 lakhthen what happens to the rest? What is happening to the 3 lakh people who cannot find work? Nobody asks this question or looks for answers. What do they do? For someone who fails to secure an employment after graduation, for which his/her parents probably sold their property for him/her to become an engineer or MBA, what happens then? He/she cannot go back to village and does not have a job anywhere. That person becomes a social parasite. It is absolutely important that new jobs are created, by both public & private sectors on a continuous basis.The inherent strength of Bangladesh is manpower. And the positive thing is that they are young, educated and talented. LEADS wants to make use of their talent, as much as we can. Sir, you quoted the real scenario with bold replies without any fear. A crystal clear guidelines from a visionary legend.